Mahila Arogya Vikas Kendrams added yet another page in their success book. On the auspicious occasion of “Acharya Thirunakshatram” and With the blessings of Sri Sri Sri Tridandi Chinna Jeeyar Swamiji, Mahila Arogya Vikas conducted Cancer Awareness Camp successfully on 7th day of November 2017 in Reingel, Nizamabad Dist. Camp was organized and co-ordinated by Sriman Jagan Mohan Reddy.Y and Padma.K, Laxmi.Y, Lakshmi Kodada. Test scenarios were operated by Chi. Hima Bindhu. 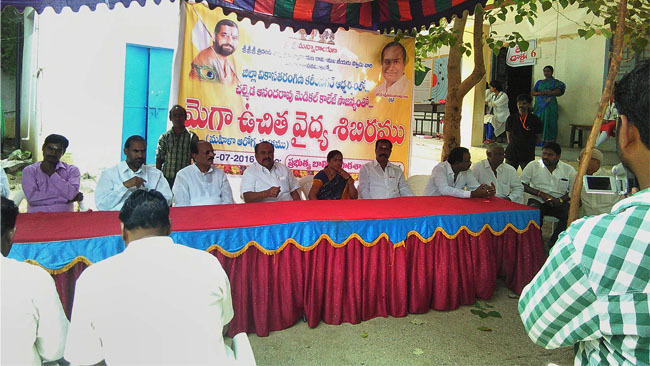 This camp was sponsored by kind-hearted Prodhuturu Sadananda Reddy Trust, Nizamabad. 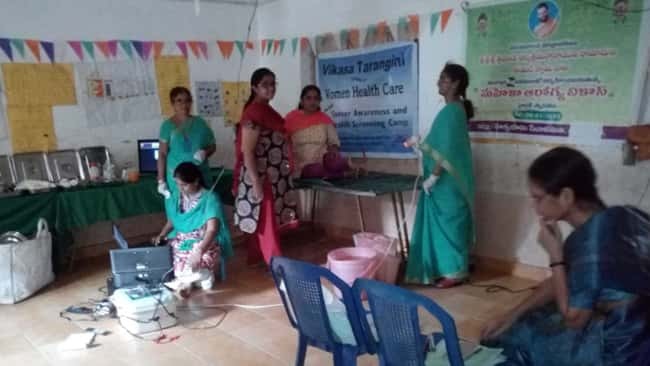 Gynecologist, Cardio and E.N.T specialists also have participated in this Mega Multi Camp and gave their valuable suggestions to all the 1200 persons who availed services at this camp.